This post probably needs a bit of context before we dive in: I’m a Senior Developer at the ABC, and I’ve been working there almost a year. 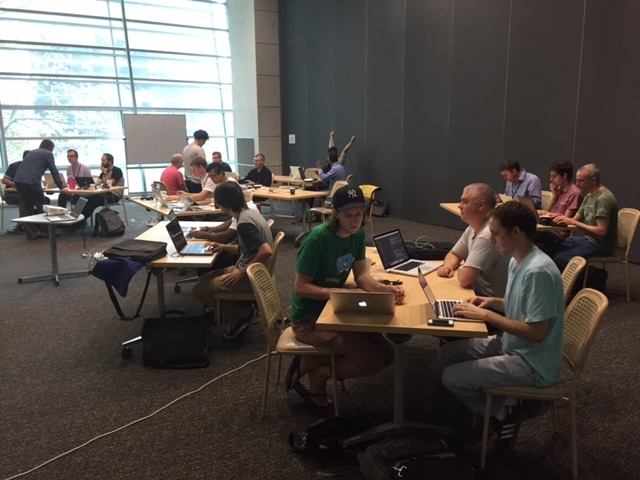 I get to work on products that people use day-to-day, which is great, but I’ve also had the chance to pour effort into things I believe are fantastic for a development team: driving the ABC’s involvement in GovHack 2015, efforts in diversity, and the best part… not just one, but two internal hackathons to drum up some inspiration and build communication links within the division. On the roadmap is an ABC Development blog, with contributions from various developers in the team. 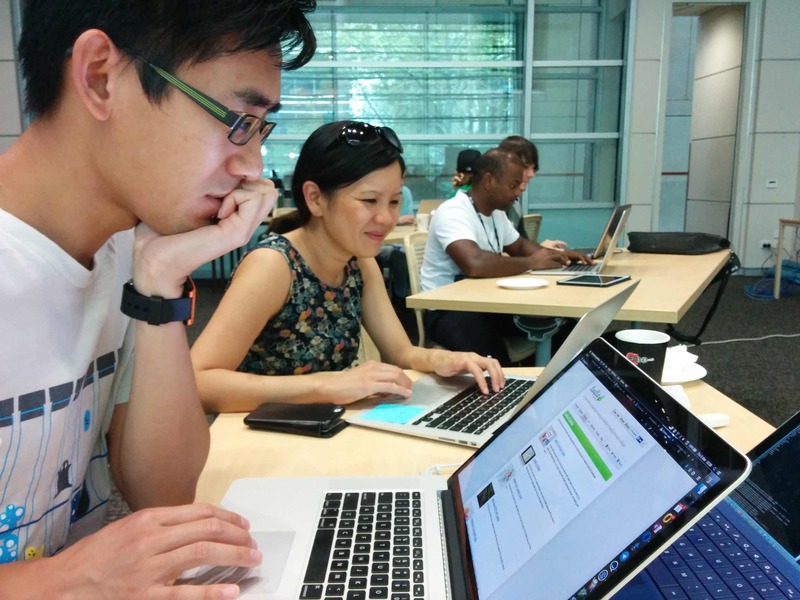 Unfortunately it hasn’t got off the ground yet 🙂 The blog would be perfect to talk about these hackathons, but since that space doesn’t exist yet, I’m doing so here. Earlier this year, the ABC was undergoing a restructure of all its digital teams into a single Digital Network division. With the restructure, we really wanted to help bring together separate teams – who often sit on separate floors, and rarely get to interact – around a fun event. Our main aims were to introduce people to others, and foster new communities within the dev team. It was also a great chance to let people flex their creativity muscles, and build prototypes for future products or features. The ABC has a lot of developers with different technology backgrounds, and we wanted to ensure that everyone had a fair opportunity to join a team and build something that interested them. We also have many colleagues who work interstate. Facilitating teams and introducing everyone to each other was a bit of a puzzle, especially since we wanted to have team formation and idea pitches done before the day. 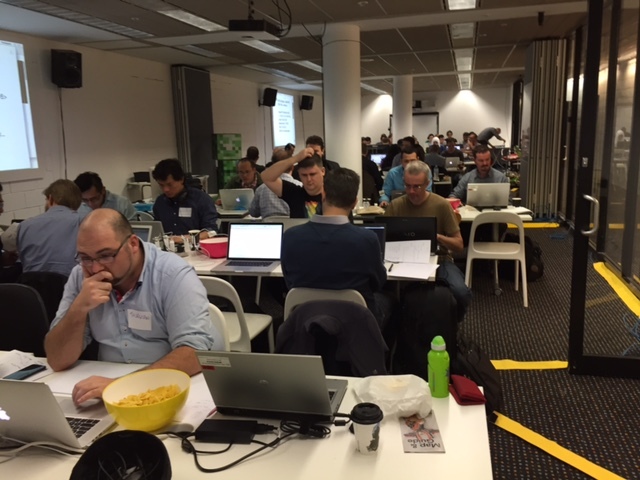 We’d also never run a hackathon at the ABC before, so we were given the chance to run a small-scale version in March to help us prepare for a larger, two-day event in June. This was a one-day event held at the ABC in Ultimo. We invited 20 people from ABC Innovation (later Digital Network) and gave them 6 hours to build anything they wanted. 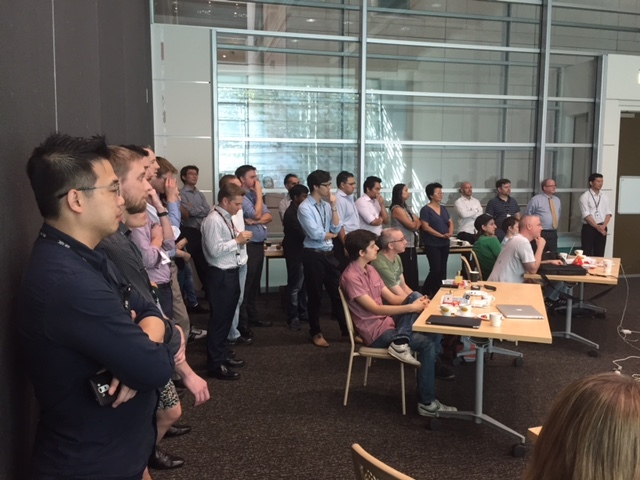 Seven teams produced a variety of hacks, surprisingly all ABC related, and had their demos watched by an audience of around 60 staff. 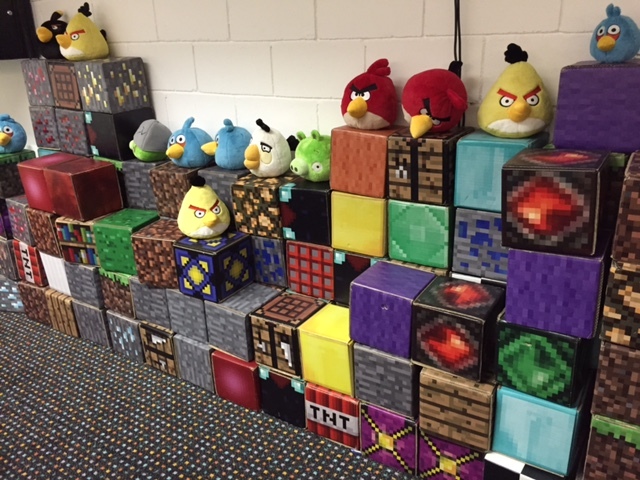 Our second event was much larger, with around 70 people hacking over two days at the Powerhouse Museum, just down the road from the ABC – complete with Angry Birds and Minecraft. Given more time to hack, and more time to prepare, there was a big improvement in the quality of the hacks compared to the first event. 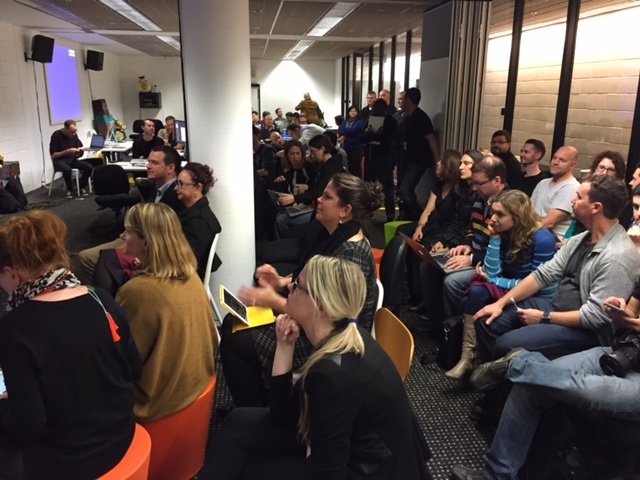 It was also great to have all the teams from interstate mingling together in the same room. Our main feedback (aside from faster wifi!) was still around team formation: teams had to be composed of people who didn’t work together normally, and were capped at 4 people. If someone hadn’t found a team a week before the hackathon, they would be allocated at random. Given how dispersed people are physically, it favoured people who already worked on the same floor, or knew other people socially. So, there are still things we can improve with this process.